Cormorants are a predatory species that can cause significant damage to fish stocks. 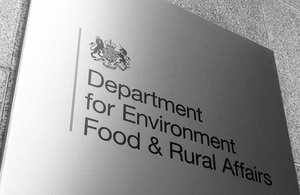 The Government is to review the current licensing regime for cormorants, Environment Minister Richard Benyon will announce at a summit for key members of England’s angling and fisheries communities today. Cormorants, like all wild birds, are protected under the Wildlife and Countryside Act 1981 and the Wild Birds Directive. They are however, a predatory species that can cause significant damage to fish stocks and inland fisheries managers may be granted licenses to shoot a limited number of birds, if non-lethal measures don’t work. Some angling organisations have called for a relaxation on the number of checks and perceived barriers in the current licensing regime. The summit brings together key angling and fisheries bodies from across England and is the start of a new process aiming to improve collaboration between the Government and different angling and fisheries groups.